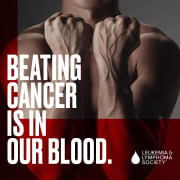 Help us spread the word about the resources and support for Blood Cancer Patients and their families. The Community Outreach volunteer visits treatment centers, cancer wellness centers, and health fairs to ensure LLS materials are available for blood cancer patients. They also ensure that health care professionals are educated about LLS services available to their patients. Provides Patient Access visibility at chapter events as needed. Outreach is an integral step to help increase healthcare professional referrals and in turn, guide more blood cancer patients to LLS resources and services. The position has great opportunities to network and make professional contacts, have access to LLS events, and to be part of a nationwide LLS community. A time commitment of six months is preferred. The hours are flexible but the volunteer must have some availability during regular business hours.